Since my P4K thread has been hijacked by the jazzheads :P I thought a thread dedicated to new jazz was in order. I'm starting things off with a little traffic for my friend in the Gray Flannel Suit. He responded to an NPR challenge asking for 5 albums in the past decade to introduce someone to modern jazz. Some big lists have already been pointed out, but I'd love some more focused recommendations. OK, just to be clear, this isn't going to be a discussion about Charlie Parker, huh? I've updated the title to clarify things. Perhaps the title should be, "If you died before 1960 you probably didn't release anything new this decade". Well, not unlike the unicorn and the two headed flying gila monster, I am afraid there is no such beast. For my first post since returning I'll take the bait. All artists in their prime, all very much playing jazz. The Jazz Recommendation Thread I started at emusic certainly qualifies for thom's request; most suggestions are more or less contemporary releases, a few older ones. Huh, I seemed to have missed this thread the first time around. Tough to name five, but I'll go for it. 1. Will Collier Septet - "Everybody Loves the Will Collier Septet"
2. Robert Glasper - "In My Element"
3. Guillermo Klein - "Filtros"
4. Esbjorn Svensson Trio - "Strange Place for Snow"
5. Ben Allison - "Little Things Run The World"
1. To my ears, Will Collier's ensemble embraces everything that is right and true about jazz. Listening to it, there's no doubt that it's jazz you're listening to. It celebrates the art form. But just as it embraces the roots of jazz, the compositions sound as fresh as anything getting produced by the newer strains of jazz sub-genres. 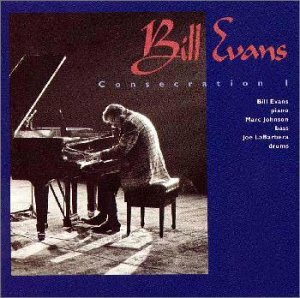 To my thinking, choosing this album illustrates that looking back on jazz doesn't preclude one from thinking ahead, too. 2. Robert Glasper's jazz piano has a gravitational effect on other music genres. Where some jazz experimenters reach out to other genres to blend in those sounds with jazz, Glasper seems to draw those genres to jazz, resulting in his own jazz voice simply incorporating those non-jazz aspects that speak to him. Even though he works with musicians from outside the genre, he never seems to lose his jazz identity. It's adventurism like Glasper's that is an aspect of jazz that is important to emphasize. 3. Guillermo Klein, aside from being one of the top composers on the scene, is arguably the best example of the nu-jazz movement. Quite honestly, I'm not entirely sure exactly what nu-jazz means anymore (it's definition has changed over time), but to me, it speaks of a cinematic style of composition, a sort of storytelling sound that focuses less on rhythm and more on melody. That Klein not only wields this sound without abandoning jazz roots, but that he incorporates Latin influences into it is not only impressive, but just amazing music. I do believe "Filtros" will be one of those albums we place on a pedestal in fifty years. 4. I chose E.S.T. as an example of the expanding presence of electronic and effects on the jazz scene, in addition to the sound of jazz coming from ECM-label geography. Esbjorn's excellent piano trio uses these effects with amazing results. He has a moody sound to the music, sometimes epic, sometimes sublime, just a hint of heartbreak and hope just behind the notes. 5. I chose Ben Allison to represent the current jazz movement that embraces many of Indie rock's elements, as well as a stretching out of rock's rhythmic attitudes. Nobody does it as well and as consistently as Ben, though there are some solid contenders. It just seemed like one of the five slots should go toward this type of sound. Thanks, Jonah, I've bookmarked this to explore. Small lists with some commentary are very good! 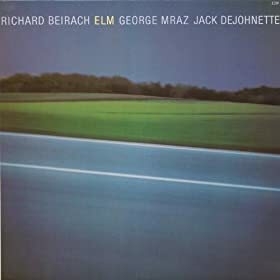 I am a big fan of the album Elm by Richard Beirach at al. (I also have Eon). ...and I am hearing maybe something of the same quality; more of that slightly electric sparkle than in the Complete Village Vanguard Recordings 1961, which I also like a lot, but which mostly has a more relaxed, languid kind of vibe. There's a piano solo on the first or second track of Matthew Halsall's Fletcher Moss Park that catches my ear kind of the same way. Too much crackle of underlying tension for the cocktail lounge, not enough dissonance to be Monk, let alone Taylor (both of whom, again, I like, but they are not this), not enough bombast and too much fleetness to be most of the Jarrett I've heard (though there are moments towards the end of the first 15 minutes of the Köln concert that definitely are what I'm describing, before he gets to the more thumpy part (and kind of loses me)), not enough humor to be Ellington. Some ECM cousins that I have, like Tord Gustavsen Trio or Marcin Wasilewski Trio, are nice in their own way but don't have the same verve. tl;dnr: What sounds like Elm? I'm not sure I can help lead you directly to other things like what you have in mind, but the above descriptions makes me think you'd enjoy the Craig Taborn Trio (here's a live performance from 2012). Thanks, kargatron - just what I was looking for, names I've never heard of. Sounds nice so far. I have that album - Will give a listen soon and see what if reminds me of, if any. Jack DeJohnette is one of the most musical of drummers.